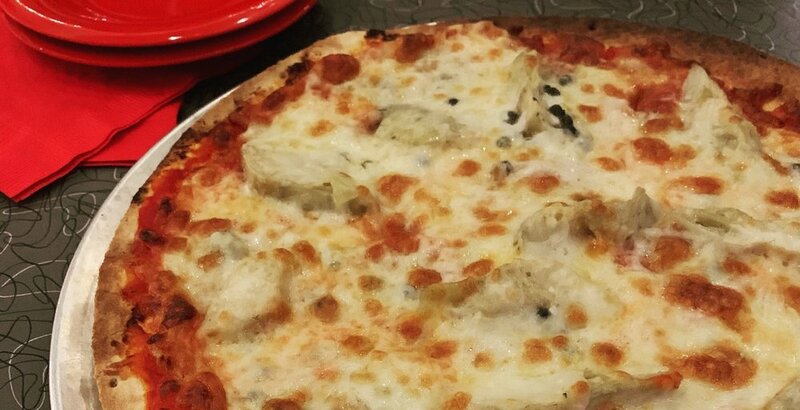 Our Mondo Italiano is a modern twist on a classic favorite. House Made Mondo Pizza is Here! We are now making our own signature pizzas in-house. All pizzas are 12” and on a crispy thin crust. Enjoy our initial offering of 3 global inspired pizzas. Pepperoni, artichoke hearts, capers, rich tomato sauce, and tri-blend cheese. Kalamata olives, feta cheese, pepperoncini, spinach and tri-blend cheese with an olive oil base. Chorizo, corn, pickled red onion, queso fresco and tri-blend cheese on a refried black bean base. Come enjoy Mondo! on the Patio! 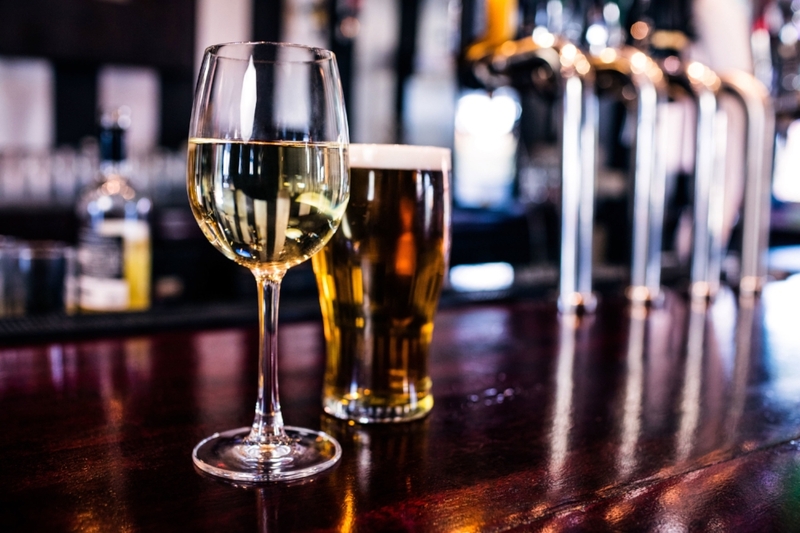 We now have a beautiful wine and beer garden located just 2 doors down from our Mondo! storefront. This space, currently known as the "Parklet" is a open space for the community to enjoy during the day, but at night it turns into the newest outdoor space in downtown Appleton to enjoy wine and beer under the open sky. The menu is a smaller than our inside menu, but we still have something for every taste. Plus, it's dog-friendly and you are welcome to bring in carry out food to enjoy with one of our beverages. Come see us Wednesday - Saturday, weather and staffing permitting. Farmer's Market Drinky Time is Here! We now open at 10:00 on Saturdays so you can stop by and see us after you shop at the Farmer's Market for drink specials including Bloody Marys, Pampelmousse Kir Royale, Mimosas, and Peach sparkling wine. Mondo owners David and Jane Oliver recently had the opportunity to appear on Local 5 Live along with Lynn Schemm of ADI to promote Art on the Town and the Craft Beer Walk. Last week we were honored to be invited to present our wines along side the finely-crafted beers from Stone Arch in their Beer vs. Wine event at Stone Arch at Riverview Gardens. 5 courses were served with a beer and wine pairing for each. Alex, a Stone Arch Brand Ambassador, spoke about the beers and why each was selected for that particular course. David did the same for the wines, followed by chef Brady Ahrens who gave a bit of insight into how each dish was prepared. At the end of each course, guests vote for the pairing they thought was the better match followed by discussion. The tally is recorded at the end of each course and a winner is declared at the end. The food was amazing and the beer and wine pairings made each course a tough decision. WE even voted beer on a couple of courses! This is a really fun and relaxing way to learn more about food, wine, and beer. The next Beer vs. Wine event will be October 26th, we highly recommend attending if you're able. See the link below for information on how to get your tickets. All of us at Mondo! want to thank the Fox Cities Chamber of Commerce for conducting our ribbon cutting ceremony last Friday, January 26th. The dedicated employees of the Chamber help make the Fox Cities a terrific place to do business, and they're really nice people to boot. The ceremony was the perfect kick off for our Grand Opening Celebration on Saturday, January 27th. We were blown away by overwhelming show of support and interest in Mondo! and we met so many terrific people whom we hope to see sitting at our bar again soon. Thank you to everyone who stopped in for the event and those who spent your Saturday night with us. It was a pleasure to serve you all.